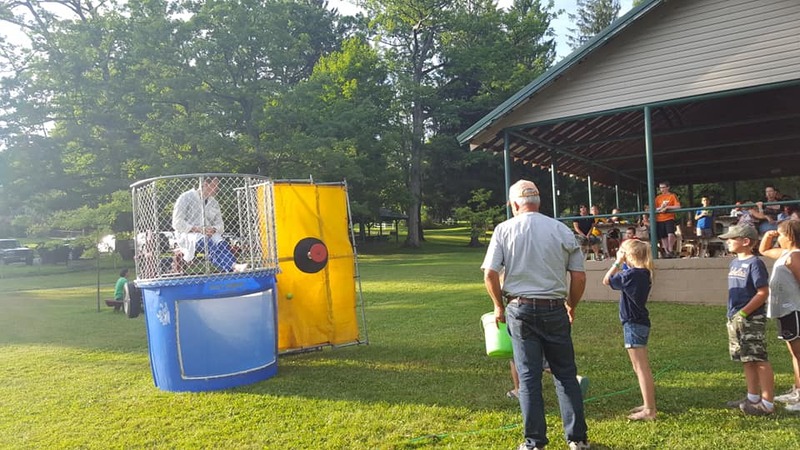 Preston County Parks and Recreation Commission has awarded several mini grants to towns and community groups throughout Preston County in order to improve recreational facilities and provided needed assistance. This program is not currently accepting applications, but we look forward to continue this program which is at the heart of our mission. If you are interested in supporting or donating towards a project, please contact us! 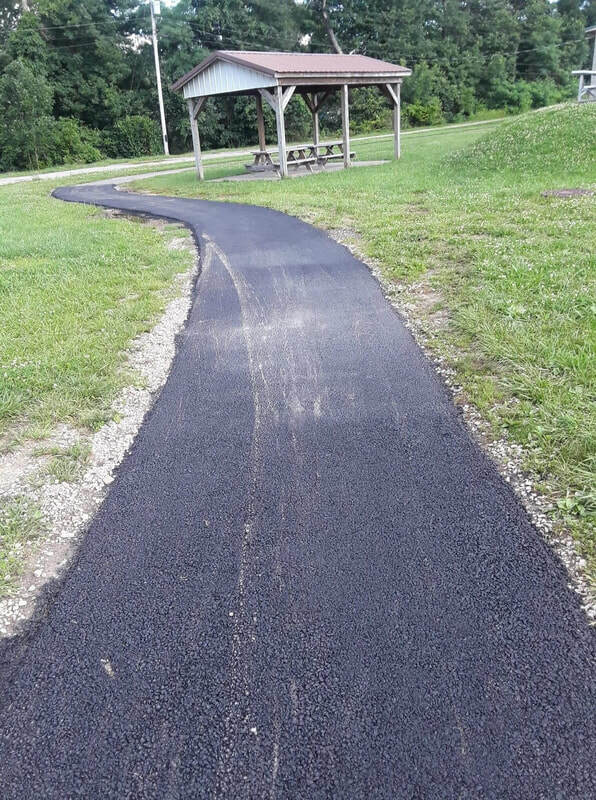 Project Description: PCPaRC gave Bruceton Mills $2000 to make repairs to the existing walking trail located at the Bruceton School football field. The existing trail was uneven when construction was done on the new school. The town wanted to have it repaired to even level, for safer walking. The trail is used by school kids and community individuals. The reopening of the pool has been a huge success for Kingwood. 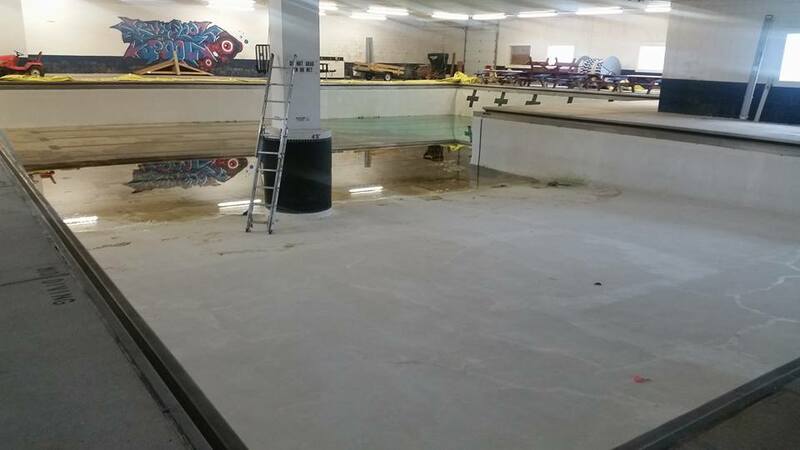 The Kingwood Pool had been an indoor facilities and closed due to maintenance issues. 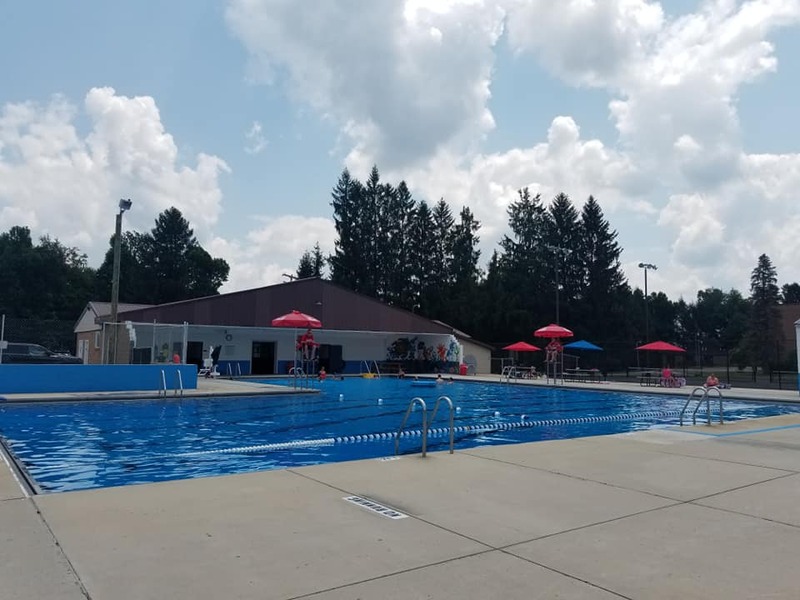 Project Description: Kingwood Parks was given $2000 to go towards $3,500 budgeted for paints and materials to paint the pool, the perimeter wall, and the bathhouse. 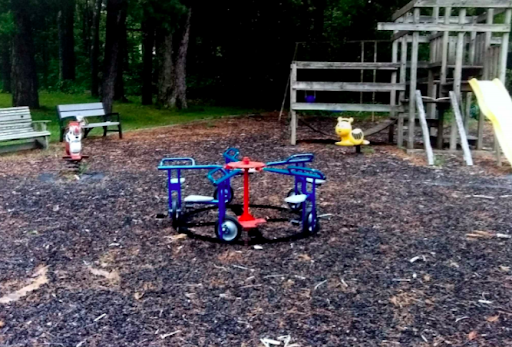 Project Description: Aurora Elementary's Playground is also used as a community resource, so PCPaRC decided to award the PTO with funds to replace the broken tube of a jungle gym, replace mulch, and improve the perimeter landscaping. 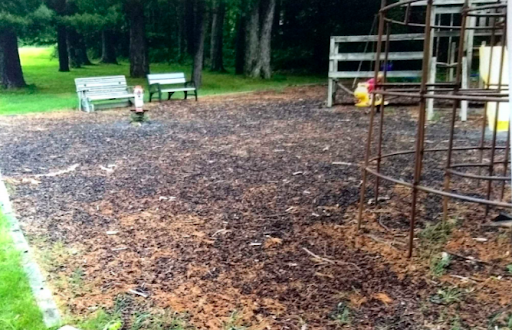 Aurora PTO provided all the labor and hauling of the mulch. Project Description: In the spring of 2014 the mayor of the town of Terra Alta along with town council members and other community volunteers addressed PCPaRC requesting financial assistance to replace badly weathered and deteriorated picnic tables and benches at the Terra Alta Park. Terra Alta Park is a well maintained and widely used park with a variety of amenities. PCPaRC provided funding in the amount of $2000.00 to the town of Terra Alta to be used in purchasing new park benches and picnic tables. 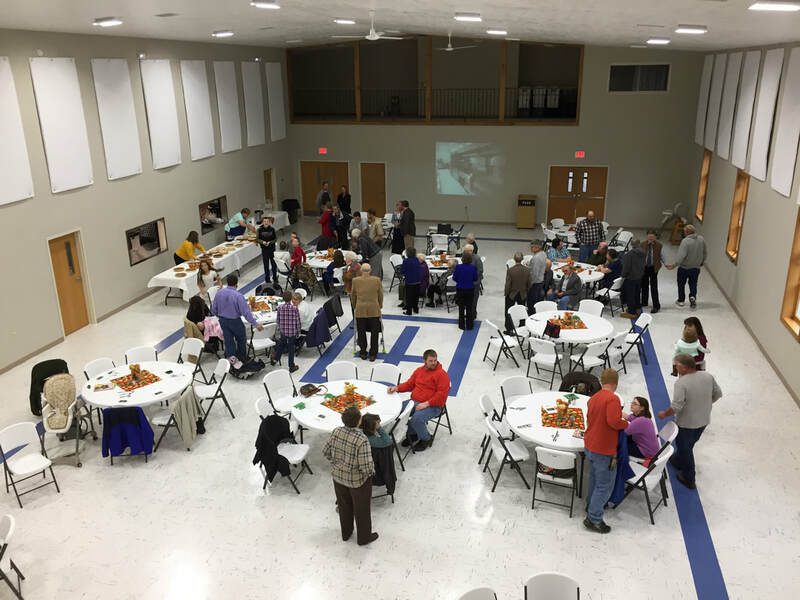 PCPaRC made one requirement for the funding, which was that the town of Terra Alta was to contract the Preston County Sheltered Workshop to construct the tables and benches. The mayor and other town officials agreed to the requirement. The project was completed within a short amount of time after receiving the PCPaRC funding. On a separate occasion, PCPaRC has also contributed funds towards improving the bathroom at Terra Alta Community Park. Sports equipment not shown, but this is the space which is frequently used. Project Description: In the fall of 2015 the Maple Springs Community Center leaders requested support in the way of funding from PCPaRC to supply sports equipment for the Maple Springs Community Center. The Maple Springs Community Center is a relatively new indoor multipurpose facility that serves the remote communities of Eglon, Aurora and the surrounding area in Preston County. The facility is run privately and provides a venue for a variety of recreational and athletic activities which would not otherwise exist. PCPaRC provided funding in the amount of $2000.00 to the Maple Springs Community Center for the purpose of purchasing sports equipment for the facility such as basketball hoops, balls, nets, etc. 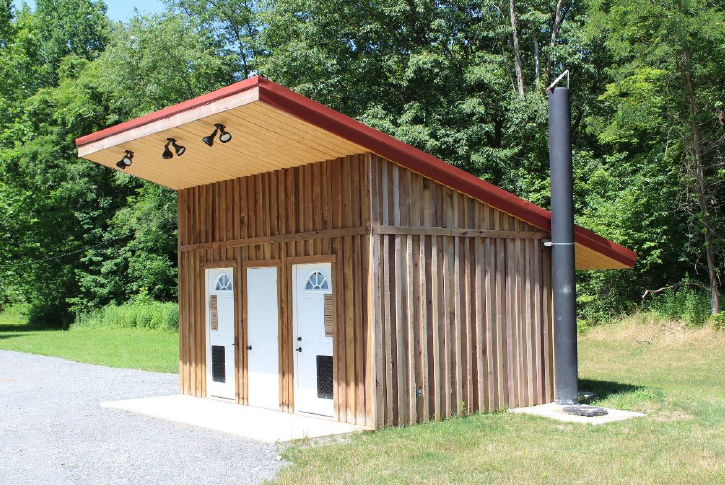 Project Description: Friends of the Cheat (FOC) has expanded its capacity to provide high quality outdoor educational opportunities at its Doug Ferris Outdoor Classroom by utilizing volunteers, FOC staff, and renewable materials to construct a vault style toilet facility. These facilities will serve formal groups touring the watershed; small events at the Eloise Morgan Milne pavilion; paddlers utilizing the Cheat Canyon river access; Allegheny Trail hikers; and passive users visiting the site in addition to educating the 3,000 Cheat River Festival patrons that visit the site each May. PCPaRC's contribution helped make this larger-budget project a reality! 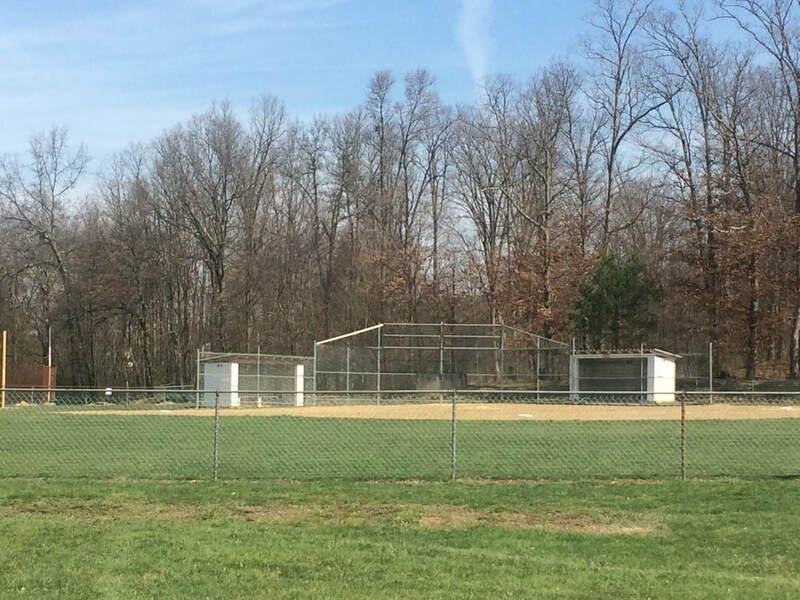 Project Description: PCPaRC contributed $2000 towards the fencing of the Reedsville Ballfields. Project Description: PCPaRC contributed half of the money to purchase the Merry-Go-Cycle. The purpose is to give the children something different that what is now on the playground. It will benefit children of a wide age range and has several different benefits.